First thing to note is this book was actually published under the name Sketching School back in 1992. Mastering Sketching is the new name for the 2011 edition. Content is the same while the layout has been revamped. This is not a techniques book on how to sketch, despite what the book title suggest. 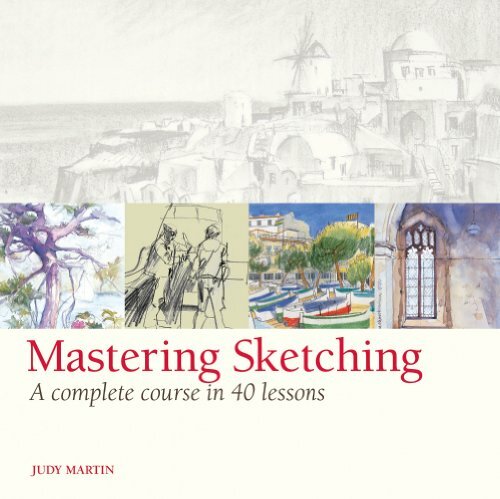 The 40 lessons are actually sketching tips based on subjects that can be drawn, such as portraits, landscapes, and drawing topics such as composition, art materials, artistic styles. You won't learn how to sketch with this book, but if you already know how to sketch this book will give you a lot of insight. The pages are packed with nice sketch examples with useful pointers, either through the commentary on the topic or the captions provided for every example. There's a good variety of sketches from other artists to look at. There are lots of interesting ideas to base on to create a sketching theme for yourself. If you're looking for techniques book on drawing, I would recommend Keys to Drawing, Drawing on the Right Side of the Brain or The Drawing Breakthrough Book. If you're looking for a book on inspiration, I would recommend this book. And you can also check out similar books like Freehand: Sketching Tips and Tricks Drawn from Art and Drawing and Sketching Secrets: 200 Tips and Techniques for Drawing the Easy Way.